The amount of 0.4 USD has been deposited to your account. Accounts: U18553597->U2338996. Memo: Shopping Cart Payment. 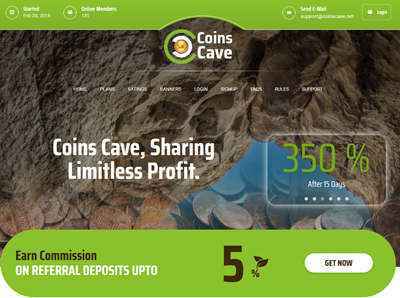 Withdraw to lrhyipbiz from coinscave.net.. Date: 16:08 22.02.19. Batch: 247560948. The amount of 0.4 USD has been deposited to your account. Accounts: U18553597->U8252702. Memo: Shopping Cart Payment. Withdraw to hyip4you from coinscave.net.. Date: 19:22 22.02.19. Batch: 247581401. The amount of 0.5 USD has been deposited to your account. Accounts: U18553597->U4888473. Memo: Shopping Cart Payment. Withdraw to PBHYIPSINFO from coinscave.net.. Date: 15:59 24.02.19. Batch: 247798393. The amount of 0.4 USD has been deposited to your account. Accounts: U18553597->U1557892. Memo: Shopping Cart Payment. Withdraw to paymentstat from coinscave.net.. Date: 17:55 25.02.19. Batch: 247950891.